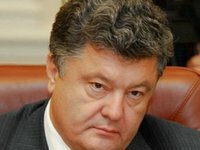 Ukrainian President Petro Poroshenko said he is hoping that early parliamentary elections will be held in Ukraine in fall 2014, Iryna Heraschenko, presidential envoy for the peaceful settlement of the situation in the Donetsk and Luhansk regions, said. "The president believes the parliamentary elections should be held this fall," Heraschenko said. Heraschenko said early local and parliamentary elections are a condition for the successful implementation of the constitutional reform, which will guarantee broad rights of the regions and decentralization. Heraschenko said such steps are contained in the peace plan proposed by the president. The plan has 14 items, including an item on a brief unilateral ceasefire, organization of corridors for civilians and the militants who want to leave the region, reinforcement of the border, the release of hostages, and amnesty for those members of illegal armed groups who have not committed grave crimes.